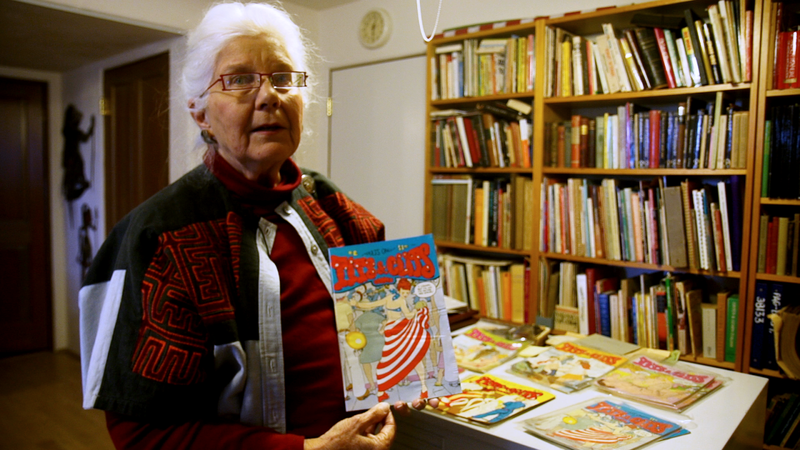 Today I’m talking with the director and producer of the documentary She Makes Comics, Marisa Stotter. Learn more about her project and her thoughts about women in comics. What is your documentary She Makes Comics about? Marisa Stotter: She Makes Comics tells the storied history of women in comic books as creators and readers alike. It goes all the way back to the medium's beginnings, highlighting the contributions women have made in every "age" of comics, from the Golden Age to the present day. While our main focus is on creators - writers and artists producing comics - we'll also spend time on women's roles in editorial positions, in retail, and in fan culture. Why did you decide to make this? What inspired you? Stotter: I've been a comics fan since I was in middle school, and a lot of my contact with comic culture has been through the Internet. For years, there have been really interesting (and important) discussions about women in comics rattling around the echo chamber of the Internet. I thought it was about time to bring these discussions into the mainstream and show the often insular geek community at large that women have always been a part of comics. And the recent epidemic of harassment and discrimination will not make us go away. What do you think about the current state of women working with comics and the female readership of comics? Stotter: There are more women in comics now than ever before. They're participating in the industry at all levels - editorial, creative, retail - and have become more and more visible in fan culture. I think it's really important to realize this in the face of the negative press you hear about. Sexism, discrimination, and harassment are still widespread issues and are worth discussing, but I'm also interested in celebrating the women who are doing great things in comics. Why do you think females, more so recently, are getting harassed and facing discrimination at cons and the like? I do think that things will start improving soon, if they haven't already. Some of the biggest cons in the country are enacting clear-cut consent and harassment policies, and comics web sites are doing a better job of actively policing their forums and comments sections. Several women and men in the industry have spoken up, entreating fans to behave respectfully. The attention that has been called to this issue will hopefully contribute to a desire to change status quo and make comics more welcoming to all fans. Who are some of the people you will be interviewing in this documentary? Stotter: We're interviewing a variety of women who represent different aspects of comics. So far, we've interviewed such women as writer Kelly Sue DeConnick, artist Becky Cloonan, former Vertigo editor Karen Berger, underground comics artist Joyce Farmer, Elfquest creator Wendy Pini, SDCC organizer Jackie Estrada, and many more. We have plans to continue conducting interviews through this year's SDCC, so all told we'll probably have spoken to 40 people. Who is your favorite female creator involved in comics? Stotter: I can't possibly choose one as my favorite, but lately I've been enjoying Kelly Sue DeConnick's work immensely. I'm a huge fan of both Captain Marvel and Pretty Deadly, her creator-owned series. 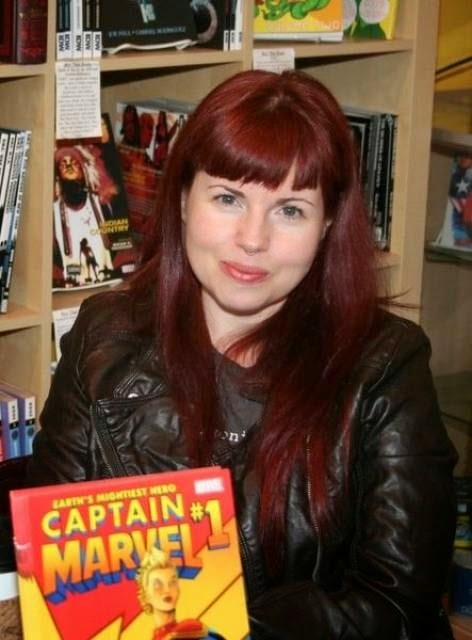 And it doesn't hurt that Kelly Sue is one of the most outspoken advocates for women in comics. Can you talk about some of the people responsible for this project and their roles in the film, like the director, producer, etc.? What is your role? Stotter: I'm producing and directing She Makes Comics along with my producing partners, Patrick Meaney and Jordan Rennert of Respect Films. Patrick and Jordan have made a number of documentaries about comics, including Grant Morrison: Talking with Gods and Warren Ellis: Captured Ghosts, so their expertise goes a long way to helping make this film the best it can be. Patrick and I will be working together on editing the film as well. How can people support your project? Stotter: We ran a successful Kickstarter campaign in February where we gave away some neat rewards to our backers. If you missed out on that, we'll have a way to pre-order the film online very soon. For updates on our progress, you can follow us on Twitter at @SheMakesComics and like us on Facebook at www.facebook.com/shemakescomicsdoc. When and where will people be able to watch your documentary? Stotter: We plan to release the film in early 2015 on DVD and through digital download. If you're interested in learning more about the project, watch the trailer for She Makes Comics from Kickstarter below and visit their Kickstarter page.